In the morning arrive at the international terminal of the Delhi airport where the nature safari representatives will meet you and they will assist you to the hotel room. Stay at hotel Hans Plaza for two nights (First class modern hotel). The Pandavas in c1450BC founded the earliest known capital city of Indraprastha. Maya, the Danava architect built a splendid palace and court for them. Recent finds support the view that it was located in the Purana Qila area. Enjoy a sightseeing of Old Delhi in the morning. (Including the Red Fort, Jama Masjid and the bazaars of Chandni Chowk) Enjoy a sightseeing of New Delhi in the afternoon. (Including the Qutub Minar, Humayun's tomb and Lutyen's buildings). The line of distinction between Old and New Delhi has begun to blur - north, south, east and west Delhi are more prevalent terms of demarcation. The facilities and opportunities available in Delhi have attracted Indians from far-flung corners of the country, making it a melting pot of sorts. On the other hand, the presence of diplomatic and trade mission, the growing number of multi-national companies and foreign investors, and the influx of tourists and visiting professionals have given the city, especially its southern and central parts, a cosmopolitan air. The coexistence of the past and the present at many levels characterizes Delhi, as it does India. The assimilation of a specific cultural influence is expressed differently by people living in different parts of the city, a fact that offers insights into the social strata. South Delhi is undoubtedly the trendsetter, and the fashions and lifestyle introduced here become the aspirations of many. There are however, dramatic differences in localities, standards of living and adherence to traditions. Met upon arrival in Sawai Madhopur and transferred to your hotel in Ranthambore (12 kilometers, approximately 30 minutes driving distance) by the nature safari representatives. Stay at Tiger Den for 03 nights the wildlife Resort. In the afternoon enjoy a game drive. With an area of 400 sq. km encompassing rocky hill crests which descend to open valleys between the Aravalli and Vindhya ranges, dotted with water pools and fruit trees, this park gets its name from the thousand year old fortress, which looms above the forest. Well known for the diurnal activity of tigers, Ranthambore is a very special and unusual area where a natural presentments a historical past. Sambhar, cheetal, chinkara, nilgai and langoor. The elusive leopard and tigers are found in this reserve with tourists standing a very good chance of seeing tigers during the day. Dotted across the landscape are the crumbling ruins of its past glory, be it chhatris or cupolas, like palaces of old guard posts, all of which reinforce the magical and ethereal quality of this great wilderness. Lunch at the lodge. After lunch, proceed on a game drive into the National Park Enjoy game drives early in the morning. Return to your lodge for breakfast. In the afternoon enjoy a game drive. Meals at the lodge and enjoy the adventure trips into the forest. Visit the Ranthambhore Fort, and the Ranthambhore School of Art. In the afternoon enjoy a game drive. 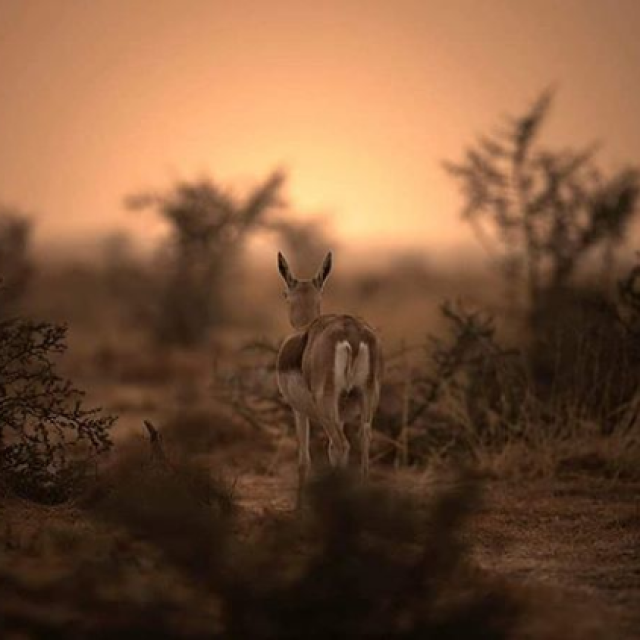 Enjoy a game drive early in the morning. Return to your lodge for breakfast. Travel by car to Jaipur (180 kilometres, approximately 3 ½ hours driving distance) Stay at the Samode Haveli for two nights. (Standard Grade Royal Residence). Jaipur, called the Pink city because most of its buildings are of sandstone, was chosen by Maharaja Sawai Jai Singh II (1693-1743) for his capital. It still is the vibrant capital of the desert state of Rajasthan and a major attraction for the first-time visitor. Jaipur is surrounded on all sides by rugged hills, crowned with forts and enclosed by embattled walls. The Old City, the actual Pink City, is a great place to wander around. Maharaja Man Singh II had the whole city painted pink when the Prince of Wales, later Edward VII, visited Jaipur in 1876. Today, every home within the old city is obliged by law to maintain this facade. Fabulous, tall houses with latticed windows line the narrow streets of the old city, their rose pink colour lending enchantment to a scene which is almost magical at sunset. The city, which is very well planned, is laid out in a grid pattern. Travel by car to Agra (237 kilometres, approximately 5-6 hours of driving distance) visiting the Deserted city of Fatehpur Sikri enroute. Stay at hotel for one night. Enjoy a sightseeing of the city in the morning of the entire city. (Including the Taj Mahal, Agra Fort and the tomb of Itamud-ud-daula) Taj Mahal is closed on Fridays Later in the afternoon assisted transfer to the Agra rail terminal in time to connect your overnight train to Umaria. Agra - Umaria - Kalinga Utkal Express (second air-conditioned sleeper class) board the train at 1550hrs, overnight in air-conditioned sleeper class train, arrive Umaria at 0616hrs. Arrive Umaria at 0616 hours. You will be met upon arrival and transferred to Bandhavgarh (32 kilometres, approximately 1hour driving distance) Stay at Tiger Den Resort for three nights. Afternoon enjoy a game drive in the National Park. Situated in Madhya Pradesh, Bandhavgarh is a must-see destination on a wildlife holiday of India. 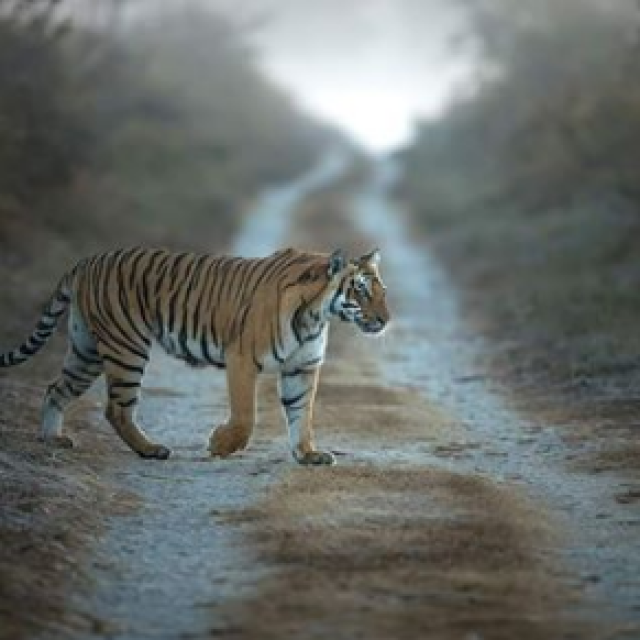 Bandhavgarh National Park is known for having the highest density of Tigers of any national park in India. 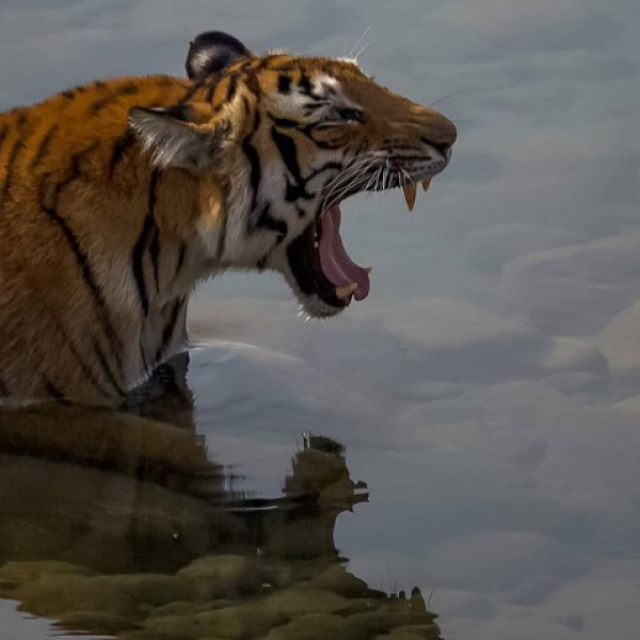 Originally the game reserve of the Maharajas of Rewa, the number of tigers killed, before they were declared a protected species, is stupendous. It is recorded that Maharaja Raman Singh himself, shot 111 tigers by 1914. 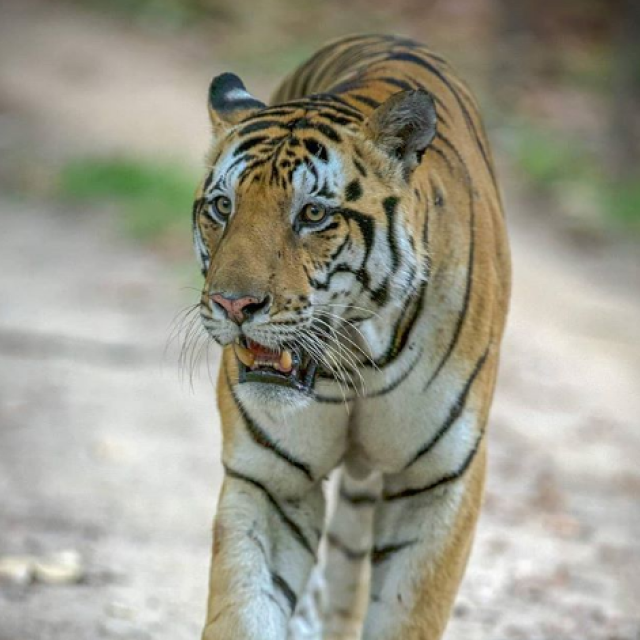 Bandhavgarh is also known for its population of rare white tigers. Mohan a famous albino tiger, caught in 1951, can still be seen, as a stuffed tiger in the palace of the Maharajas of Rewa at Bandhavgarh. The landscape at Bandhavgarh consists of rocky hills with fattened tops, and valleys with grasslands. Moist deciduous forest with bamboo clusters and Sal trees comprise the vegetation of Bandhavgarh. The ruins of Bandhavgarh fort can also be seen in the Park. There are also a number of prehistoric caves with inscriptions of their walls that are worth seeing.Apart from tigers, there are many species of wild life in the forests of Bandhavgarh. Deer, Gaur, sloth bears, wild boar, and many varieties of birds can be seen when you observe the wildlife at Bandhavgarh National Park. Morning enjoy a game drive in the National Park on the back of a elephant for a elephant safari trip or take a trip inside the Kanha Jungle early morning to track tigers or indulge in bird watching. You can also enjoy a good wild photography on your 3 hour-long trip to Kanha Wildlife Sanctuary Return to the resort to get fresh and for having lunch. Visitors can also enjoy exploring the surroundings and to do some bird watching. Return to your lodge for breakfast. Take up an afternoon drive to Pench National Park (380 kilometers, approximately 7 hours driving time) Check into Pench Jungle Camp for three nights. Enjoy full day of jungle activities, including Boating in Pench river, walking safari, try your hand at Golf in The Park premises. Morning after breakfast travel by car to Nagpur (95 kilometres, approximately 2 hours driving distance) to board your flight to New Delhi. Upon arrival the guests are met by the company representatives and transferred to your hotel Ashok Country Resort for the day.